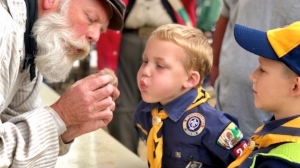 Oregon Trail Council’s Fall Rendezvous is a weekend Scouting adventure combining the best of modern Scouting with a walk into history and the “Ways of the Mountain Men”. Plan to camp for the weekend or drop in on Saturday and enjoy all the activities. There is something for every age. 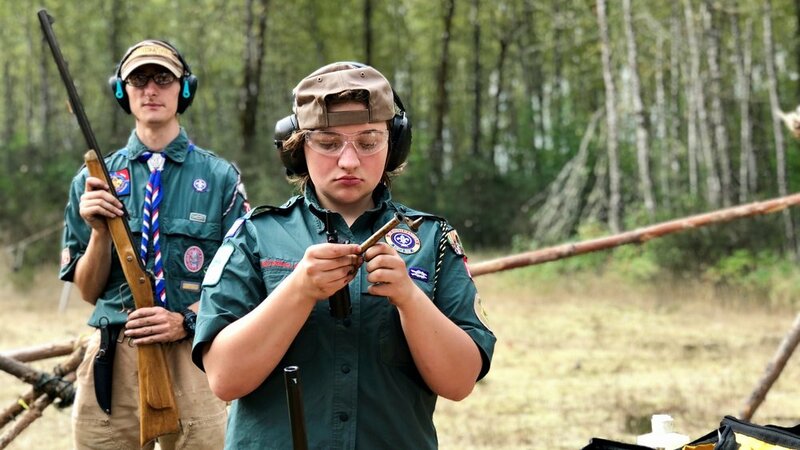 for their generous support of Rendezvous and Scouting! - You can still register your unit at the gate. With a paid pre-registration, not only can your unit choose your campsite, you can pick up wristbands before the event and your members will be allowed to show their bands and drive through at registration. No need for extra paperwork. 1: Look at the Rendezvous Site map and find the campsite based on the size of your unit. 2: Fill out the online form or stop by the Service Center or call 541-485-4433. 4: A Unit Roster can be turned in at the event and will be required before patches are issued. Please help us by getting your unit roster turned in before 9 am Saturday morning. About a week before RENDEZVOUS, stop by the Service Center to pick up your registration packet with the wristbands. At the Rendezvous site, your unit members just need to show their wristbands and they will be directed where to drop off gear. Vehicles should only drop off gear and then move back to the parking area. Set up your camp after parking. If you have unit members arriving later, wristbands and a list of those expected can be left at the registration tent and will be issued upon their arrival. Refunds are available and will be deposited to the unit store or registration account at the Service Center once unused wristbands are returned and registration has been closed and balanced for the unit. No refunds will be issued at the event. We need volunteers for the Dutch oven cooking events; 3 sets of 3 individuals. If you’d like to help, stop by the Dutch oven cook shack and see Rich. We will also need some units to help with take down. Let us know at the leadership meeting if your unit is willing to help out.